Songwriter, poet, activist, mentor and Associate Artistic Director of Young Chicago Authors, Jamila Woods released one of the most commanding, sophisticated and important albums of the past decade, HEAVN. Spanning themes of introversion, racism, sexism, solitude, love and so much more, the record also features collaborations with the likes of Chance the Rapper, Noname, Lorine Chia, Nico Segal (Donnie Trumpet). 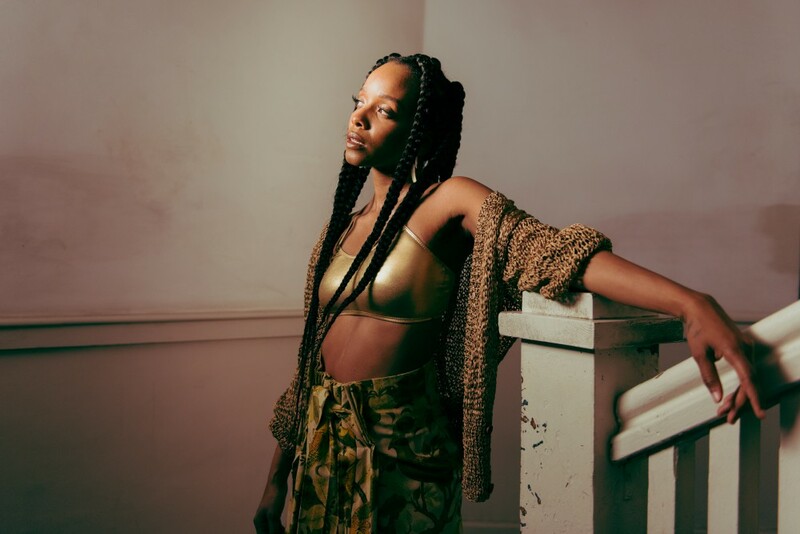 I called through to Jamila Woods at her home in Chicago before she heads to Australia next week for performances at Sugar Mountain, MONA FOMA and a headline show at The Basement in Sydney, to chat about HEAVN, poetry and the importance of mentors. You head to Australia really soon, will this be your first time in this part of the world? It will be my second time. I came for the Sydney Writer’s Festival a few years ago to do some poetry. I’m excited to do my first concert there. Will you have much spare time when you’re here? Is there anything in particular you’re keen to see or do while you’re here? I hope I have time to explore some. I’d just love to walk around whatever neighbourhood I end up staying. 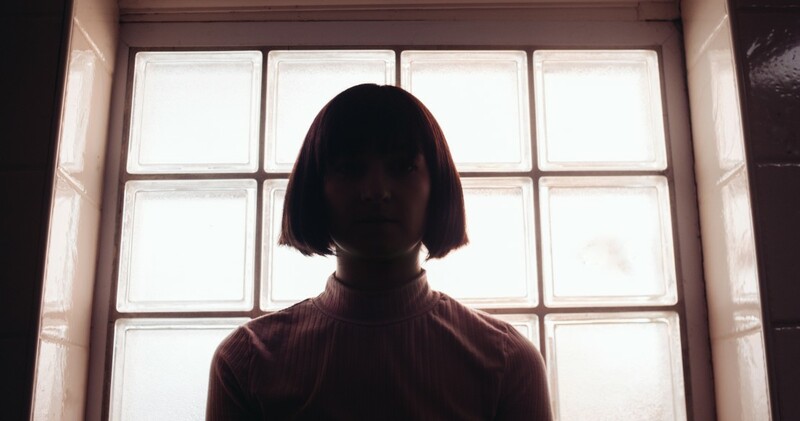 HEAVN was re-released last year via Jagjaguwar, but originally released on a local label in 2016 – how did you find that process of basically self releasing? It had a really warm reception right from the outset. Yeah it was great because I actually released it through this local label called Closed Sessions, so it was a very community Chicago-based label. It was nice to see that we could get such a big reception from keeping it really local. Then Jagjaguwar really helped getting physical copies and getting it on all the streaming services. It’s been cool to see it have a second life and to take it overseas. The record is so expansive, lyrically there are so many references throughout – folk tales and children’s rhymes, double dutch rhythms and historical and more recent events. It comes together in this pure and unique voice – was it through writing and performing poetry that you found this way of storytelling? Yeah, poetry really impacted my songwriting style a lot. When I took my first class in poetry it was kind of this after school club, where I got into the poetry session by accident and I ended up really loving it. I loved how they exposed us to poets that looked like me, from Chicago and Black women writers who I’d never really gotten to read before. I started reading Gwendolyn Brooks, Patricia Smith and all of these writers who wrote about where they were from and their own experiences as Black women. I think that really gave me permission to tell my own story. I think for a while growing up I thought my story was kind of boring. I’d read memoirs and be like, ‘I don’t understand how people can remember their lives. My life isn’t that great or interesting’, but over time, poetry kind of shifted that. HEAVN was the first solo album I did after being in a band for a while, and when you’re in a band you kind of try to write in the voice of the collective. When I was writing HEAVN, I was looking at some of my poems and the stories behind them and thinking about how I could translate those into songs. Who were the first musicians or writers you remember resonating with growing up? I really loved Stevie Wonder – that came from my parents’ music. From a very young age, I remember latching onto how he would tell stories in his songs. There was this one in particular that my siblings and I made up a dance to and choreographed this whole theatrical piece to it and it was just so cool that you could do that to a song. I could envision a whole scene happening just from a song. When I started getting into my own music – Erykah Badu and Lauryn Hill were two people that I really loved. Pitchfork definitely helped. I was so nervous about it and as soon as I knew I was playing – for several months, it must have been half a year – I had the picture of the stage on my bulletin board and I would look at it, visualise it, to try to help myself be less nervous. I would say affirmations like, ‘It’s going to be a great show’ and all this stuff and had all these vision boards. That experience of being so nervous and anxious about it to finally doing it… They even moved me to a bigger stage than the one I thought I was going to be on so I was nervous about that but it ended up going really well. I think that taught me a lot. Now, I think more about how I can have fun, what else I can do to have fun with the live show. It’s also really cool to be doing a festival in Australia, a place I’ve never performed. So you have almost rituals, in a way – do you carry these affirmations and habits to most performances? Yeah, I do. I really like to have affirmations that I say to myself when I’m on tour. I also pull a tarot card before each show I perform as a guide, something to keep in mind, to set an intention before each show. That helps me to stay centred if ever my mind wanders during a show, I try to bring myself back to that. A beautiful and powerful aesthetic runs through all aspects of your work from press shots to videos – how involved are you in the concepts behind the visual sides to your music? I like to get really involved. I usually have a vision board, pinterest board or collage of stuff that I am thinking about and visualising for the song before I meet with a director. I like to communicate a vision to them that we can build off together. For example, ‘Holy’ was the one that I had the most intense vision for. I just had this vision of these really long braids rising up, almost how hair rises with static electricity or making this web of hair. It was something that I just couldn’t get out of my head. 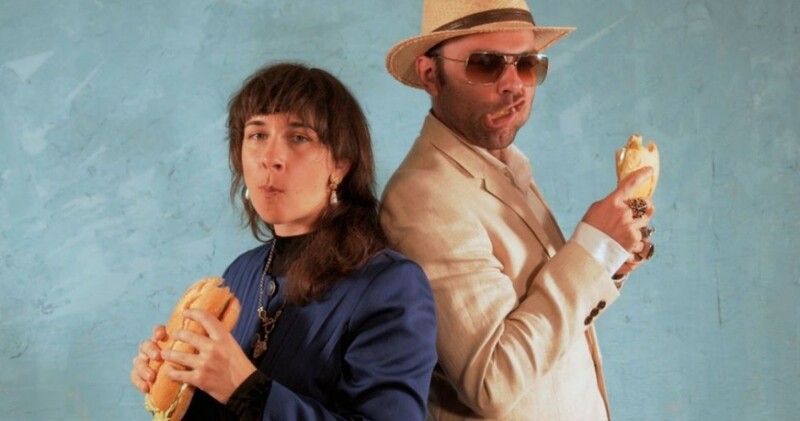 I was talking to Sam Bailey, who was this director I knew about – I really like when it happens that way, when it gets to be a really collaborative process throughout the whole thing. I’m not a director and I don’t know a bunch of things about film but in the past few videos that I’ve made, I’ve got to learn a lot in the process. It’s not just the product that’s the goal, I also want to lear about another genre when I’m doing a video. It seems to me like you consistently consider ways to create space for up and coming talent and to propel other Chicago creatives. Like, inviting student filmmakers to create the concept for ‘LSD’ and your position at Young Chicago Authors – where does this drive come from? I think part of it comes from how I started out as an artist. I don’t think I really thought of art as a potential career until I was in that after school program when I started writing poetry. That’s when I got introduced to Young Chicago Authors. Seeing how important and integral that space was for my development, it always makes me think about pushing that forward and keeping spaces like that alive and creating new spaces. Basically thinking of mentorship as one of the greatest forms of education. I know if I’d had a mentor earlier on…I still seek out mentors now because there’s only so much I feel I can learn in the traditional school environment. Bringing high school students interested in film onto a video set, that doesn’t cost me anything. It doesn’t take anything away from me but it can give so much to a young person, having that experience. I feel like I saw mentors do that for me, so I want to make sure I always do that and keep thinking of different ways I can do that. After this Australian tour wraps up, what are your plans around music and community work? After Australia, we go to Japan and then Europe in February. After that, I’m focusing on writing. I still have shows scattered throughout the year but I really want to write and work on some of the things I’ve started in my time home. I’m also hoping to do some more stuff around the community, more focus around women in music. I love working with Young Chicago Authors and I think I’ve learned a lot about how to organise events. I’d love to organise an event that brings women in music in Chicago together and allow us to find mentors in each other, but also to just dish about how it feels, what we go through as women in music. That’s one of my goals too. HEAVN is out now via Jagjaguwar, Australian tour dates below.